How to write a book. Almost every writer on the planet wants to write a book. Some have finished a manuscript and others are already published, but many more dream, talk, and think about completing a full draft and seeing their name on a book cover. Some already have a book in the works while others have several half-finished drafts floating around. Some can’t even get started. They have too many ideas to choose from, or they are waiting for the right idea. You could spend your whole life waiting. The world is full of inspiration. Think about what moves you. What gets you excited? What are your goals? That’s where you’ll find your best writing ideas for books and everything else you want to create, whether it’s short fiction, poetry, essays, or a blog. There’s no mystery to writing a book. You just do it. You work on it every day, and you don’t let yourself get sidetracked or distracted. You don’t drop your project to chase tempting new ideas. You chip away at it, and then one day, you have a complete draft. That’s all there is to it. But to write a book, you have to start with a concept. Before you can sketch characters, draft an outline, or select pieces for a collection, you need a vision. Whether you have too many visions or not enough, there are a few creative strategies that you can use in your quest for ideas or in your decision-making process. Choosing the right idea is critical. If you pick a project that you believe in, there’s a much better chance that you’ll actually finish it. If you want to write a book, start with your own passions. Are you crazy about horror stories? Write one. Are you a political junkie? Write political essays. Do you like to grow your own food? Write a blog about that. Your passion for your project will keep you going, and it will come through in your writing. Once you’ve got enough written material, you can pull it together into a book by gathering stories, articles, or blog posts into a single themed manuscript. Tip: Write a list of everything you’re passionate about. Spend a few minutes brainstorming ideas about how to turn each one into a book. Let your list marinate for a few weeks. Which idea haunts you the most? That’s probably the best one to choose. Are you full of stories? Do you love fiction? For most writers, the big dream is writing a novel and getting it published. Once you decide to write a novel, the trick is coming up with characters and a plot that you can’t stop thinking about. Tip: Give yourself twenty minutes a day to work on your story and try to burn through that first draft as quickly as possible. You can revise later. If you come up with other story ideas while you’re working on it, jot them down in an idea notebook and then get back to work on your primary project. Some of the best art happens when artists experiment and take risks. If you’re juggling ideas or can’t seem to find the right one, take an abstract approach. Forget about form, genre, and structure. Just write. Tip: Get a notebook and set aside fifteen to thirty minutes a day to write in it. Fill it up with whatever comes to mind. 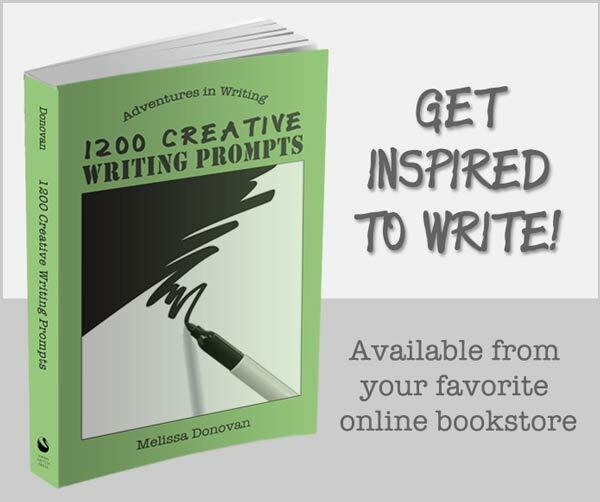 You can write about your own experiences, make up stories and characters, or scrawl abstract ideas and images. When you get to the end, harvest the notebook to gather ideas for writing a book. I meet a lot of writers who want nothing to do with poetry, and that’s a shame. Other than reading and writing, poetry is one of the best ways to strengthen your writing skills, and to write poetry, all you need are words. While it’s difficult to get a book of poems published through traditional publishing, you can easily self-publish a book of poetry. Tip: Write one poem a day for ninety days. Then give yourself three months to polish your poems. Look for a theme in your poetry, and choose poems that fit that theme. Finally, bring those poems together into a book. Makes a great gift! 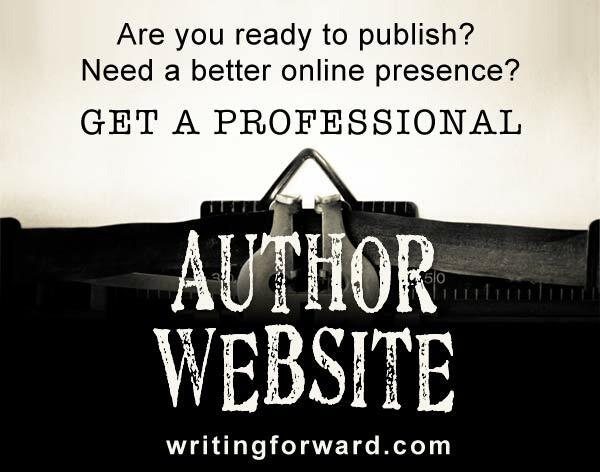 Many authors find success writing about their field of expertise. You have a job or a career, and that’s one obvious subject for a book. But what about your hobbies and other interests? Have you spent thousands of hours playing video games? Attending the ballet? Perusing fashion magazines? Write a book about what you know. Tip: A great way to write a book on a specific topic is to blog about it. You can use your blog to build an audience, and you can compile some of your blog posts into a book. Readers are passionate about memoirs. There is something unique about your life and your perspective on life. Tell your story. Share your experiences. Express your thoughts and feelings. 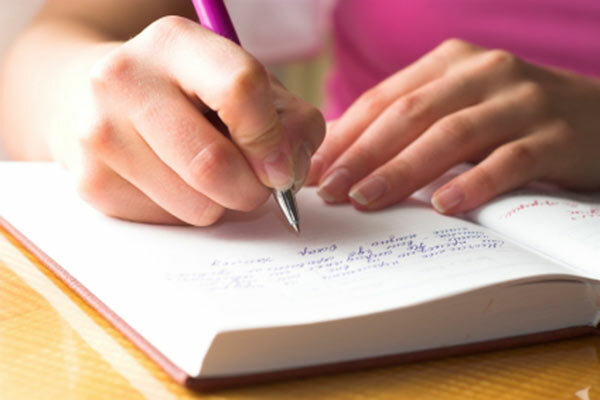 Tip: If you’re thinking about writing a memoir, start keeping a journal. You can also write a series of personal essays, and these can be published separately or as a collection. And if nonfiction is not your thing, fictionalize your experiences into a novel. Have you already written a lot of short stories, poems, or essays? Were some of them published? Instead of writing a book, make a collection of your finest writing. Tip: As an alternative, you can collect pieces of writing from various writers and act as the editor of a collection. Why do you want to write a book? Do you intend to publish your book? Will you self-publish or will you try to land an agent and get traditionally published? Do you have a platform or an audience? If not, should you start building one while you’re writing? How much time can you spend working on your book every single day? I hope you found these tips and ideas for writing a book helpful. Have you written a book? Are you working on one (or several)? What have you learned about how to write a book? What’s your biggest challenge in sticking with a book project? Share your thoughts by leaving a comment. My passion (and hobby) was theater, but I’ve had a serious interest in men’s health issues which don’t get talked about and don’t receive coverage by the mainstream media. I wrote a short story about a man with breast cancer which got published in an anthology. Then came an idea to turn it into a performance-art monologue. It blossomed into a full two-act play of short scenes and monologues all focused on similar issues. The play is now being considered for production by a major theater company in Los Angeles. You never know what direction or form your written word may take, so just write! Sit down and let it flow, because you never know when it may trigger further inspiration and take on a life of its own. That’s wonderful, Paul, and just what I needed to hear today. Thanks, and congratulations on the success of your short story. This is really great advice!! But….it is hard for people to take me seriously when it comes to life experiences because I’m young. One of the big themes of any book I will ever write has to explore the idea that age is nothing when it comes to matters of life and love. I truly believe that my passion is writing! I’ve been wanting to do this for years so the ideas come to me just about every night (because the best part of sleeping is dreaming and I do that more than I probably should). Now that I have been working on my first book, I get even more excited about book #2. Poetry was the opening for this passion so I it a great deal. It’s funny that sometimes the lines in my drafts start to rhyme. It’s amazing the amount of emotion that comes out when you’ve got good characters and plot. It’s wonderful that you’re young and already know what you want to do with your life. I am a firm believer that people of all ages should follow their dreams. Of course, it doesn’t hurt to have a backup plan. However, I’m sorry to report that age is relevant in matters of life and love. With age, you gain experience and insight, and as you get older, you (hopefully) learn from your mistakes and make better decisions. That’s just the way it is. But that does not give other people the right to treat you with disrespect. People should be taken seriously regardless of their age. I don’t care if you’re seven, seventeen, or seventy, you have a right to your dreams, passions, opinions, and beliefs. I agree. Sometimes we don’t want to hear that we don’t know everything lol but it is true. I have had to learn a lot and it’s tiring but at least it makes the books better. The sooner a writer embraces the idea that he or she doesn’t know everything, the better. There is a lot to learn. I’ve been writing for decades and actively studying the craft, and I still learn something new every day. This article resonates with me on too many different levels, so I’ll keep it at that lol. I’m glad you found it helpful, Marlon. Thanks for the tips! I have made it my mission to do your “Use Your Words” tip of writing a poem everyday for ninety days. Dictionary.com’s Word of the Day will provide the titles of each days poems, I’d like to announce. Wish me luck, and thanks again for the idea! Good luck and thanks for adopting one of these writing ideas. I love the twist you added by using Dictionary.com’s word of the day. That’s awesome! Thanks for the timely encouragement and ideas, Melissa. My writers’ group is doing a short story project and I am trying to come up with the topic for my story. I have noted several of your points, including what are my passions and the 15-30 minute writing exercise about whatever comes to mind. That’s great, Bonnie. I’m so glad you found this article useful. Best of luck with your short story project. My biggest worry about selecting an idea is that I will be stuck in a genre. Truthfully, I want to write books about so many things. I have a plethora of passions and literary interest and want to write across genres. I worry that if I choose one idea that I will be nailing the coffin on ideas that aren’t related — can a science fiction writer also be a contemporary romance author? Some folks in the publishing industry say no, you can’t write across different genres. Once you build, say, a science-fiction audience, you might as well keep writing science fiction to best leverage that audience. While this is sound advice, and it certainly makes sense, plenty of writers explore different genres. Nora Roberts writes romance and she writes mysteries under a different pen name. Shakespeare wrote in a huge variety of genres. Stephen King writes across genre. It can be done. In any case, don’t let your worry about genre stop you from writing or publishing. The best advice I know is this: be yourself. Just write the stories you want to tell. Thanks for the ideas. I’ve recently had the urge to write and now I write short articles which are published my church’s bulletin every Sunday. I want to write a book, but have been confused by the many ideas I have and not knowing where to start. I think I am too anxious. I love the idea of putting together a compilation of previously written articles. I may just start there. Thanks again and keep on doing what you’re doing! That’s great, Judith. I wish you the best of luck. Keep writing! good tips i must confess but how do one manages the little time that surrounds just a single day.Well i for one can write articles but the problem that seems very challenging is converting those ideas of mine into writing a book which remains have remain my dream for a pretty long time now………………….once again let me greet your passion for the great job that you are doing irrespective of the constraint involved,more grease to your elbow and thanks for your personal tips and experience that you geared towards encouraging aspiring writers. Thanks! Writing a book is really just a matter of committing to the project and making it a priority. Thank you thank you thank you. I just read your entry while searching for ideas on the internet for my writing. Now that I have put some of this very important artical away I can realy think of some ideas. I can already feel the multitude of ideas rushing through my head, my thanks and my main characters goes to you. You’re welcome. I’m so glad you found these tips helpful. Keep writing! I use to write all of the time while I was growing up. I was also told several times how much talent I had. Sometime over the years I just stopped writing completely, never even gave it a thought. I recieved my GED and am now thinking about enrolling in college once I reach the age of 24; in which I’ll be considered an independent and can apply for federal aid with my own income. I don’t know what sort of writing that I want to pursue, I just know that I want to write. My only problem is I don’t know where to begin when writing!! I almost feel like I’ve lost my talent since I haven’t used it in so long!! Many writers have gone through the same thing. We go to school, get jobs, have families, and writing takes a backseat. Just pick up a pen and start writing. Read a lot, too. Soon, you’ll find your voice. Good luck to you! I would like to write about my life as a minister’s wife. However, I am afraid that my experiences, even though I try to tone them down, may hurt someone’s feelings who might be included in one of my experiences. (It is impossible not to be honest when writing from the slant I want to.) How can I approach the subject without being offensive, yet still being open and honest? One of the reasons I personally would never write a memoir is because I don’t want to drag the people in my life into any kind of spotlight against their will. Another reason is that I have zero desire to ever publish a memoir, regardless of what I may put down in my personal writings. If I felt compelled to share my personal life experiences but didn’t want to include friends and family, I would simply write a novel and fictionalize my experiences. I know some writers are compelled to tell their stories, even if it means wrecking relationships. I am not one of them. I can only say that I personally would never risk a relationship in order to write a book. That’s just me. I don’t think it’s possible to be truly open and honest in a memoir without hurting anyone unless you leave all the juicy stuff out, which would make for a boring read. So, you might think about writing fiction instead. It’s worth a try. Please allow me to thank you for the great tips and words of encouragement you share with us every single week. It is an absolute delight to read your blog. Thanks, Rosy. I always find it interesting to learn about where writers get their inspiration. I will definitely keep posting! Great article! One thing I would add: keep your notes and do not give up. I have been struggling, off and on, to write a memoir about my computer career in the 1960s for over 20 years. The recent popularity of Hidden Figures inspired me to try one more time. Finally, I have a complete working draft that satisfies me. I hope to have it ready to query agents by my 77th birthday in December. That’s so awesome, Ann. Congratulations on completing your draft. That’s a big deal for any writer. Well, I read an interesting post about how to write or how to become a writer. I have been wanting to write, and I still want to become one. My prime enemy is time of convenience, I do have time but late night when I am exhusted and feel sleepy. How can I go with such a period? The second challenge is the language key-pointers. Mean sometimes I have an idea in one language but cannot convert or translate it into another. What could be the possible way out? Thank you Mellissa, your posts are really helpful. I’m not sure why you need to translate your work into other languages. While it might be a good exercise, there are professional translators who do that work for writers. As for time, this is a problem for just about everyone. Those who want to write will make time and get it done, somehow. I once heard the story of a busy mom who wrote her entire first draft while sitting in her car every day, waiting for her kids to get out school. Just a few minutes a day adds up over time. Thank you. I will make sure I become busy man as the mom. I will try it. You’re welcome, Glenn. I’m glad you found inspiration here at Writing Forward. Keep writing!